You have selected your climbing shoe, and you now need something to keep you secure when climbing. You need a climbing harness. 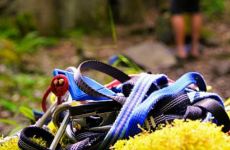 Now, there is a great variety of climbing harnesses out there. It’s not easy to find the best without a guide. Sometimes you might get lucky, but it’s much easier to know which harness to buy by carefully comparing their features and reading reviews. In this article, we help you find the best harness. Instead of spending several hours going through the mountain of choices available, we have decided to help you cut the hours of research needed by narrowing down your choices to just a few of the best. Pull up your criteria, read the descriptions on each harness and select the one that fits your needs. 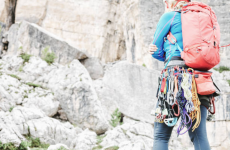 This harness is designed for women climbers. It is designed to save you from wasting time on adjusting your waist belt or fiddling with leg loops every now and then, which may be time consuming. 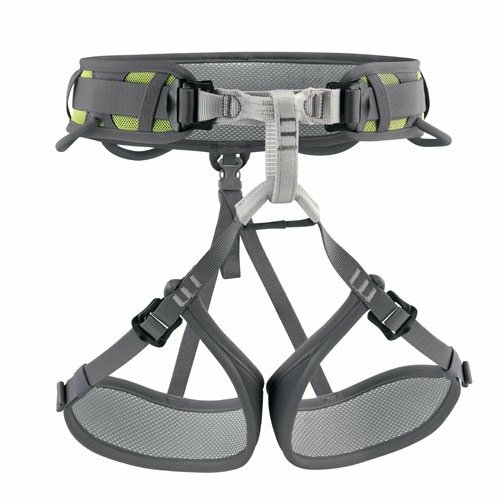 The Primrose climbing harness comes with a waist belt buckle that is quick to adjust and doesn’t require you to spend a long time finding the right fit. Even when belaying, the Dual Core construction on the harness ensures you never lose comfort. Want a climbing harness that you can put on smoothly and remove quickly? The TrakFIT leg-loops will let you do that. The harness is useful and comfortable. When you have it on, it will not hurt you or pinch you anywhere. 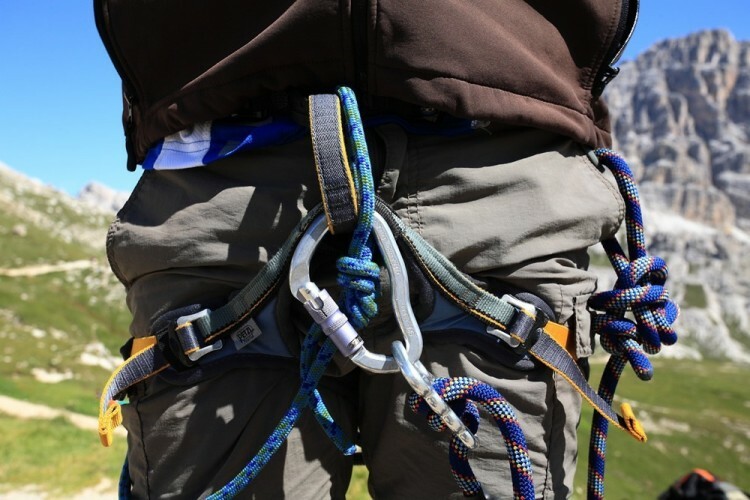 It has a reinforced loop for gear and if you plan on carrying an extra rope on your outing, you will welcome the loop on the back of the harness. Most users comment that it fits snugly when they put it on. So, if you are concerned about comfort and a perfect fit is your priority, this is the one for you. 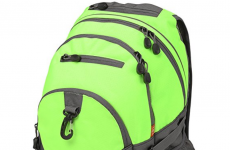 It is designed for gym climbing, bouldering and other climbing activities. It is touted as a comfortable harness, lightweight, and easy on the foot. The waist belt is a bit stiff and can cause a bit of pain. Other than that, it’s a good harness. This harness is available in a great color and is made from high-quality materials. The harness is well padded and has been rated highly by previous users. The harness is well made and its solid construction makes it a good fit for summer and winter activities. It is versatile and easy to use. Whether you are going for rock climbing tomorrow or looking for a harness for bouldering, you will find much benefit with this harness. You can easily adjust the waist belt to keep the equipment loops in an optimal position. You can also adjust the size of the harness for different clothing or you can adjust it for use with leg loops to fit appropriately for ski boots and mountaineering. The design of the harness allows you to easily adjust the harness so that weight is distributed evenly between the leg loops and the waist belt. Thus, you will be able to enjoy greater comfort. Each of the pressure points are captured and relaxed with a soft mesh lining while the waist belt is fully ventilated to allow for enough air. You can easily bring your other equipment along without needing a backpack. The harness has two flexible equipment loops at the back and two rigid ones in front to facilitate carrying. It is very durable. At the time of writing this, the harness has received tons of reviews, with 77% being very glowing reviews and 23% being good ones. There is not even one negative review according to our research. What this means is that when you buy this harness, you are assured of good quality, and satisfaction just like the others. The gear loops are a bit small, which might make them uncomfortable for lead climbing. This shoe is perfect for intermediate climbers, but might not be right for beginners. But you can read more comments here (link here) to see what beginners’ experiences have been like. The ABC guide harness is a simple, reliable and affordable harness. It is strong, durable and safe. Although it does not come with extras like strong padding, if you are looking for a cheap harness that will give reasonable performance for the money you paid for it, this harness is ideal. This harness does exactly what it is made for. The waist guide is up to 50”. This is a good option for those who are not super fit climbers. If you have a large leg and your waistline is not the slimmest in town, you will find that this harness will not only fit you, but also have spare webbing. The harness is safe. The harness can be used for rappelling and ascension with heavy EMS gear without feeling unsafe. If that sounds like what you need, this could be the harness for you. This is a good product for emergency services personnel. It has a solid construction and will take up less space than other regular ropes. This harness is a quality product that not only fits all waists but is also well made. 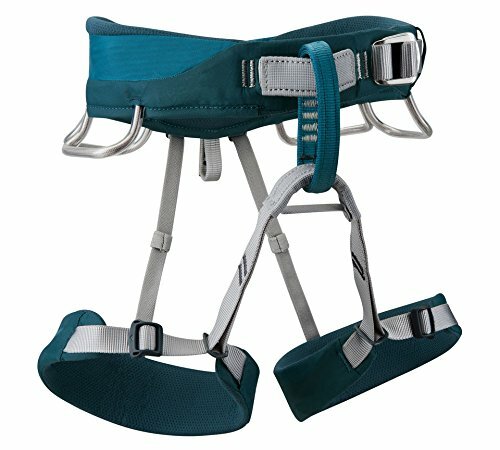 If you need an all round harness for all kinds of climbing, this is the option for you. The harness stays strong and comfortable for only short periods. If you want a more padded harness that will be comfortable for long periods, you may have to look at one of the others on the list. This harness can fit anyone from young children to large adults, so you can buy for yourself and get one for your kids too. 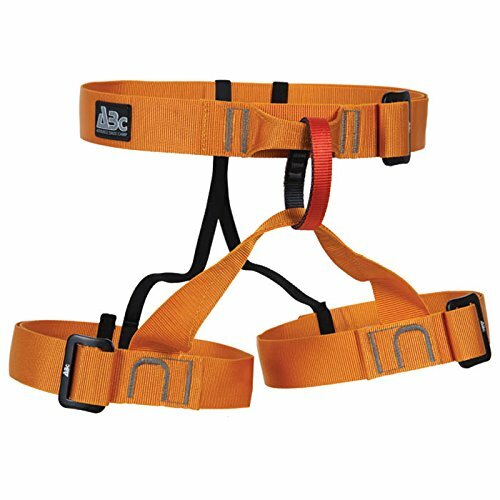 The best harness on this list, based on performance and quality, is the Black Diamond Primrose Climbing Harness. The ABC Guide Harness is recommended as a cheaper option while the Petzl Corax Climbing Harness is the best for easy adjustability and comfort.